Our Advanced Finishing and Polishing Cups and Points are highly-loaded with ultrafine diamond particles for superior finished surfaces providing more life-like reflectance and luster. Uniquely engineered Cups & Points with an extra-resistant plastic mandrel included. Structurally stable cup and point forms will retain their shape during operation for more predictable use. Complete fissure polishing due to flexible but stable point. 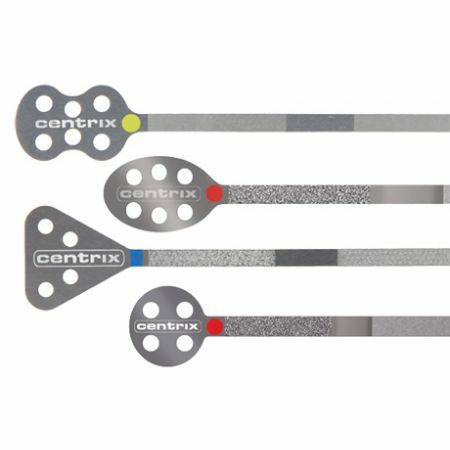 Enables anatomical polishing of all concave/convex surfaces. What you get: a superior gloss effect with minimal surface roughness. 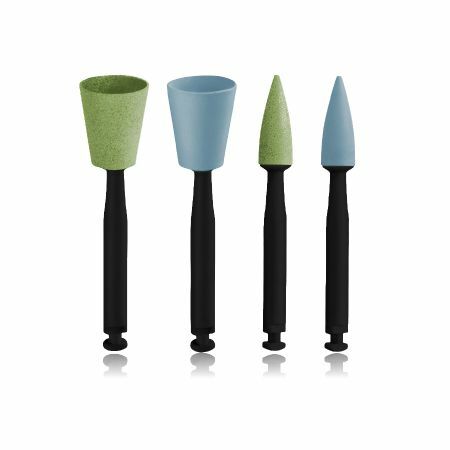 Couture Diamond Polishing Brush is made of diamond-filled cellulose filaments that change from hard to ultra-soft through water absorption. Filaments get stiff when dry for aggressive polishing. Filaments get soft and release diamond particles when absorbing water. 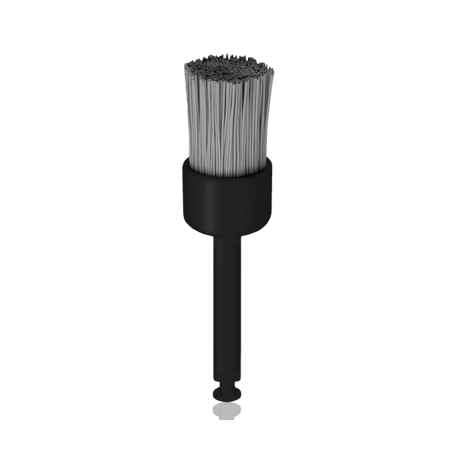 Soft filaments allow brush to adapt to tooth surface structure and significantly increase polishing performance compared to other polishing brushes. Ideal to use on larger surfaces. 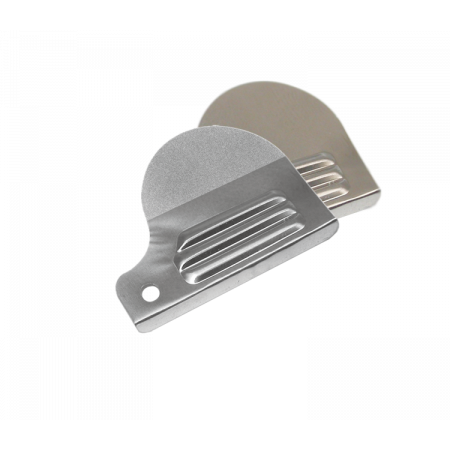 Gentle to soft tissue and safe for use even lapping onto gingiva with low vibration. Stable plastic mandrel for latch-type, contra-angle handpieces. Easy, fast, one-step final high gloss polishing without paste for smooth esthetic surfaces. Faster and better polishing results on hard-filler composite resins, such as nano-hybrid composites. Achieve highly esthetic restorations, custom to each patient. Our Advanced Finishing and Polishing Cups, Points and Brushes are highly-loaded with ultrafine diamond particles for superior finished surfaces providing more life-like reflectance and luster. 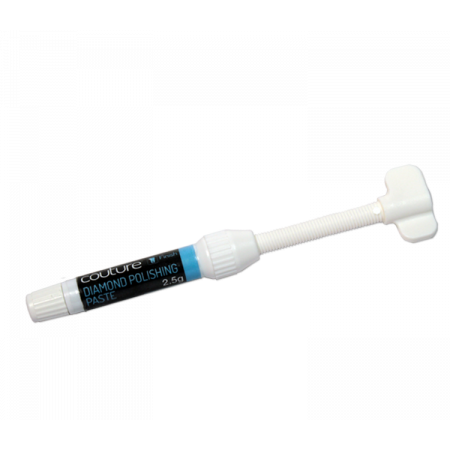 Use Couture Polishers on composite restorations after pre-polishing with rotary diamond instruments (15 μm yellow). Medium (green) Polishers enable easy shaping and well prepared surfaces. UltraFine (blue) Polishers enable final, ultra-high gloss surfaces, bringing out the maximum esthetics of any composite material. Use copious water spray during the entire procedure (minimum 50 mL/min). Apply light force to instruments, not exceeding 0.5 lbs (2N) of pressure. Use slow speeds between 8,000 and 20,000 rpm maximum (note: higher speeds will cause more rapid deterioration of Polisher and rougher surfaces). Use Couture Diamond Polishing Brush after pre-polishing with rotary diamond instruments (15μm yellow). Use Couture Diamond Polishing Brush on the dental surface starting with hard filaments for 15 seconds under light pressure (0.5 LBS/2 N) and low speed (5000 RPM). Subsequently add water spray for few seconds. The stiffness of the filaments gradually change to ultra soft. Adjust spray if there is too much water. Continue polishing at low speed for about 15 seconds more without pressure, with only light wiping movements to achieve final high gloss. Apply Couture Diamond Polishing Brush without paste. Single use (due to water and debris absorption, deformation). Couture Diamond Polishing Brush can be safely disposed as it is made entirely of recyclable materials.